DAVID LE/Staff photo. 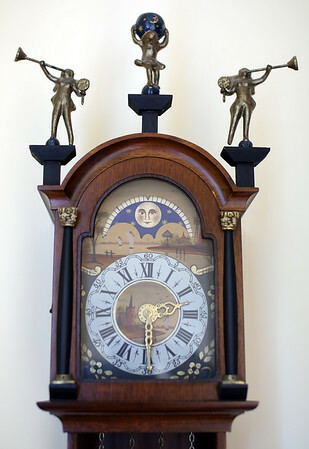 A clock hanging in one of the stairwells in the home of John and Chris VanRemoortel, of 14 Rowland Street, came from John's mother and was passed down. 10/9/15.